Let's look at the top 10 teams off the bat (er...kick off?). 1,192 American Consumer Opinion® members participated in the poll that ran mid- to late-September. The Dallas Cowboys come in first with a tally of 116, to squeak by last year's Super Bowl winners, the New England Patriots (106 votes). Of the votes counted, the two top teams garnered nearly 20% of all entries! Coming in third with 74 votes is the Windy City's Chicago Bears. Da Bears! The New York Giants follow close behind with 71 votes. 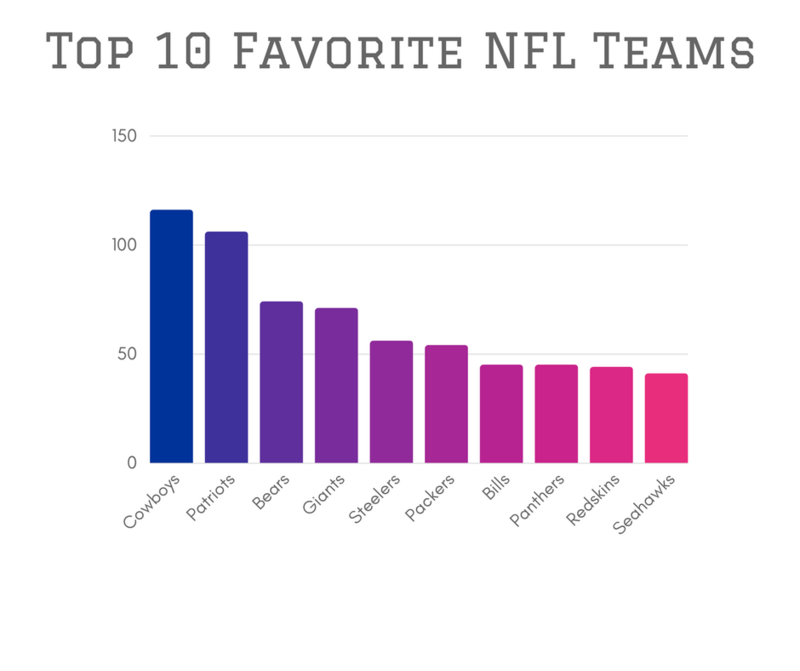 In a third tier of the top 10 are the Steelers (56 votes) and Packers (54 votes). The Bills and the Panthers tie for seventh place with 45 votes a piece. Finally, the Redskins and the Seahawks finish out the top 10 with 44 and 41 votes, respectively. 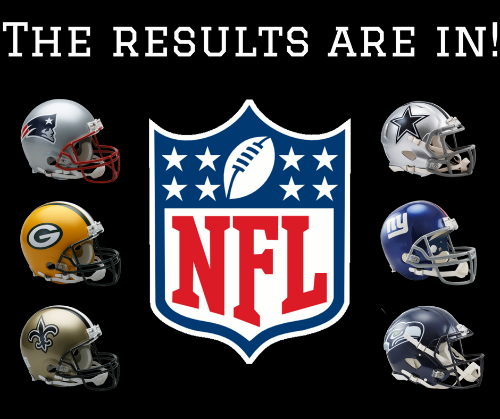 The top 10 teams comprised a full 55% of all votes and took gradual stair steps down after the Cowboys and Pats. Did your team fail to crack the top 10? Take a look at the chart below to find out where your team stacked up. 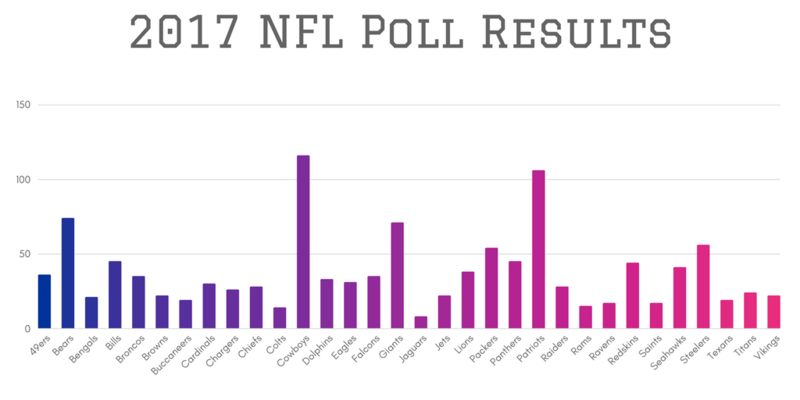 Thank you to all who participated in the NFL poll! Be on the lookout for more quick polls, which can be found on your "Member Account" page.